Note: Due to many photos there are two blog posts for this episode. Photos from my walk in the Lake District are in post below. Thanks to everyone who was in touch with me in the past week. I heard from new Pipeliners gwilkin, pennyschwarze, averill73, JKnits51, lidysmok, victoriaBlue, Puccigram, and one2manyhobbies. Thanks you for introducing yourself to the group and/or for writing to me. Welcome to all of you. Thank you for the star ratings and reviews on iTunes. There were new reviews by Strid8, sarapomegranate, and goatlady1. Thank you for the encouraging reviews and the 5 star ratings. · Freebie/Destash Table. Magazines, needles, yarn, books, etc. Ravellenic Games starts Feb 7th! We have Team Pipeliners! Feel free to join us. It is not too late. Kindness of Knitters Blanket is my Ravellenics Project. Goal is to add 50 units/squares to the blanket and have at least one square from everyone who has contributed so far. A friend of mine who lost her home in the tornado is temporarily living in a house in the country until their home is rebuilt. They are feeding the birds and she is posting photos of the birds on Facebook. She asked me to id one of the photos as either a Dark-eyed Junco or Slate Colored Junco. I’ve heard these terms bandied about pretty much interchangeably so I did a little research. First I looked in my very old (and still my favorite) Peterson’s book and saw it as Dark-eyed Junco. My Audubon Guide to the birds had notes that these variations are now all considered the same species (since 1980) which is Dark-eyed Junco. I still like Slate Colored Junco better, or it’s nickname of Snowbird but either way, it is a pretty little bird. I’ve been confused by the Junco at times because the gray can vary to the point that it appears almost brown on the breast. I thought I might be overlooking a separate species and then determined it was not. The junco likes to stay on the ground, cleaning up the seed scattered by the birds on the platform feeder and thistle feeder. They move so quickly that I have trouble taking good photos of them but I finally took a few good ones this week while one was perched on the deck railing. Soon these birds who spend the winters making our lives more pleasant here in Illinois will migrate to their northern breeding grounds. I used Blackberry Ridge Woolen Mill worsted/dk in the natural undyed and size 5 needle. 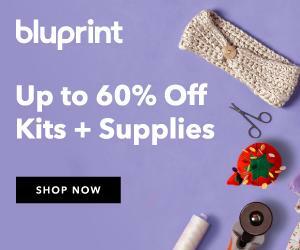 This is a great pattern and FREE! 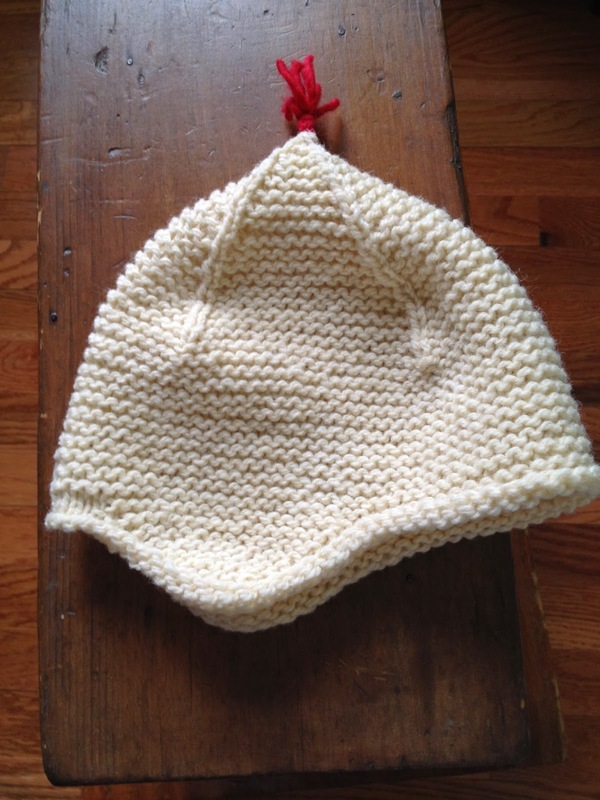 I like the way that garter stitch and short rows are used to shape the hat. The decreases are placed in a new way. I topped my off with a shot of red yarn just for fun. 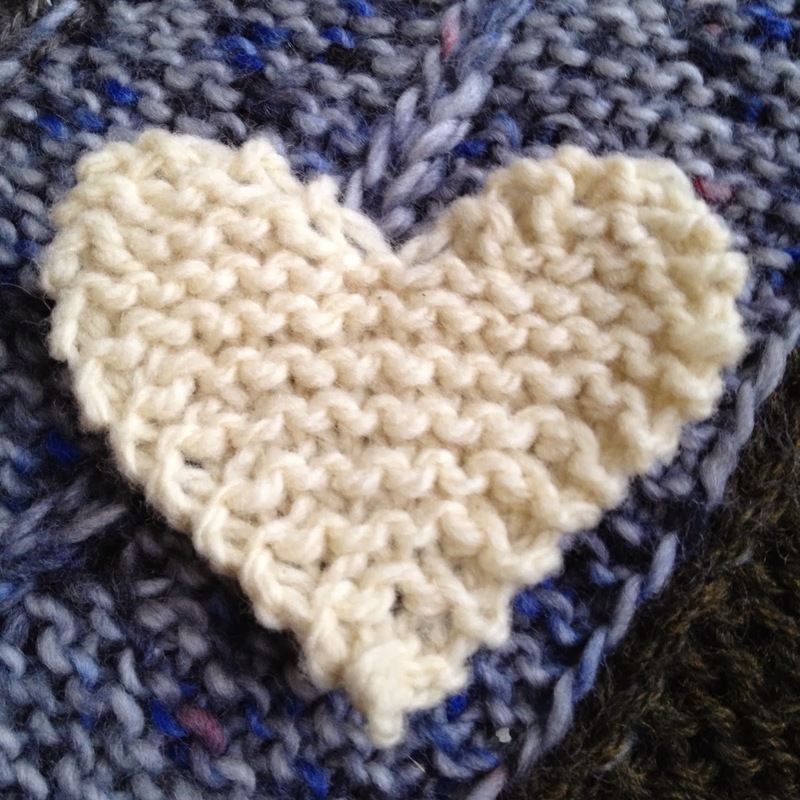 Each heart takes about 3 g of this worsted/dk wool. There are 4 ends to sew in per heart so there is some waste yarn. I used Blackberry Ridge Woolen Mill worsted/dk in the natural undyed. Great little pattern that is quickly memorized. I knit 11 of these on a Sat afternoon and evening, probably about 4-5 hours of relaxed knitting time. That includes weaving in ends. Later on I timed one heart and it was 12 minutes knitting time while I was chatting at a Guild Meeting. I changed the increases from M1 because these slow me down. First I used a simple backward loop. Then I changed to K1fb. See my project notes for specifics. 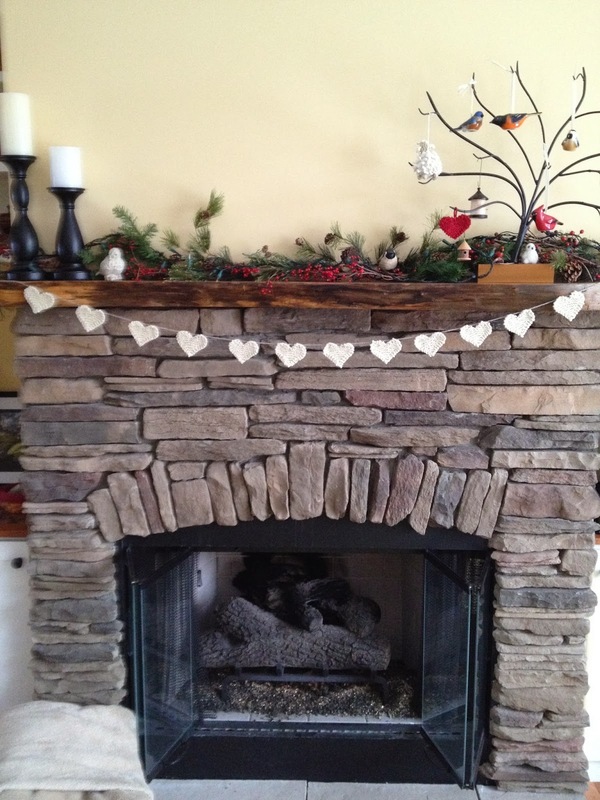 I made 12 hearts and then joined them into a garland using a piece of rustic natural brown wool. Threaded through loops on back so spacing can be adjusted. Mounted on mantle with sticky Velcro and put remaining small balls of yarn on top of the Velcro. Most people know Beatrix Potter as the author of childrens books and creator of characters such as Peter Rabbit, Jemima Puddleduck, Benjamin Bunny and many more but may not know her as a landswoman, farmer, and Champion of Sheep. There has been a lot more written about this part of her life in recent years. 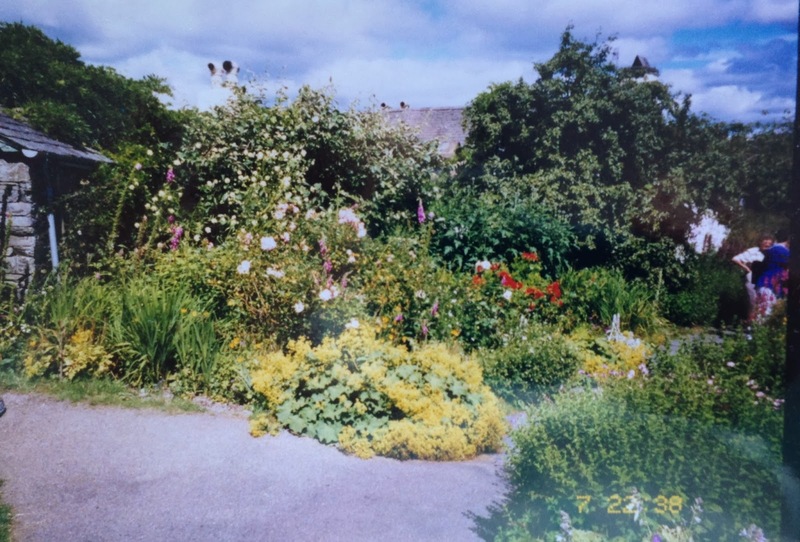 1997 Trip for Gardeners to England and Scotland. More photos from my walk alone outside the village of Grasmere are in the post below. Even now I walk that path in my head and eventually I fall asleep in the most wonderful way. I recommend “walking a path” as a way to fall asleep. Helps keep your mind off of other matters. 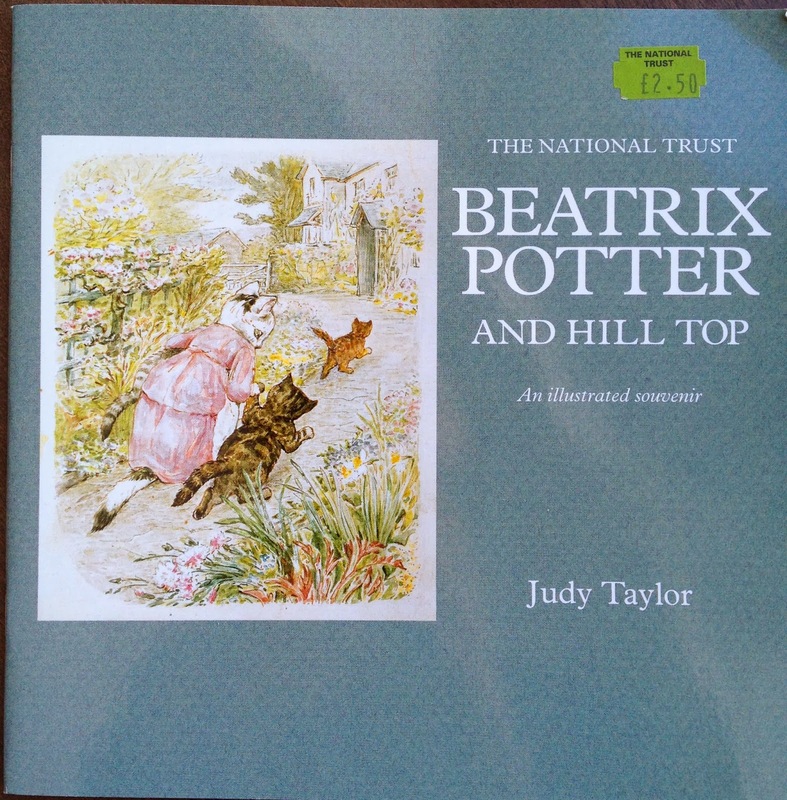 · The National Trust Beatrix Potter and Hill Top. · Piecework Magazine Nov-Dec 2010 The Two Lives and Two Legacies of Beatrix Potter by Deborah Robson and Donna Druchunas. 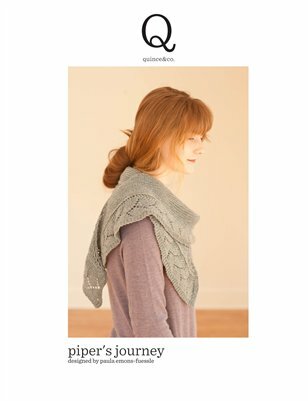 · The Fleece and Fiber Sourcebook by Deborah Robson and Carol Ekarius. · Beatrix Potter grew up in a strict Victorian family. She had no formal education which she felt was a blessing as she was able to foster her creative side. Beatrix Potter’s family spent holidays in the Lake District and she became interested in preserving the land for the future. · A family friend Hardwicke Rawnsley founded the National Trust for Places of Historic Interest and Natural Beauty, with Rupert Potter as a supporter. 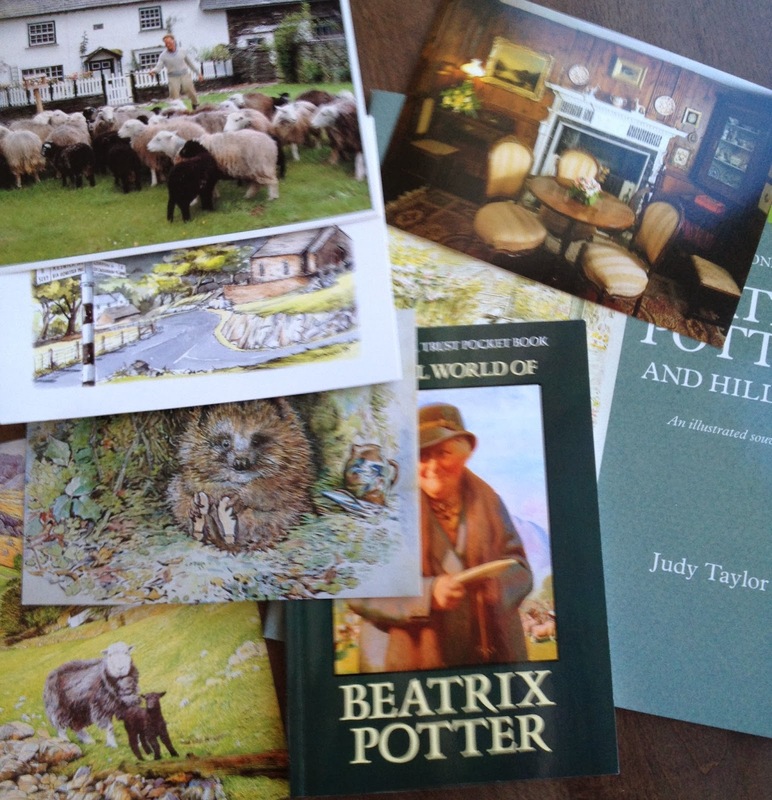 · Planted seed for Beatrix Potter’s passion for the Lake District and in particular, the Herwick Sheep. 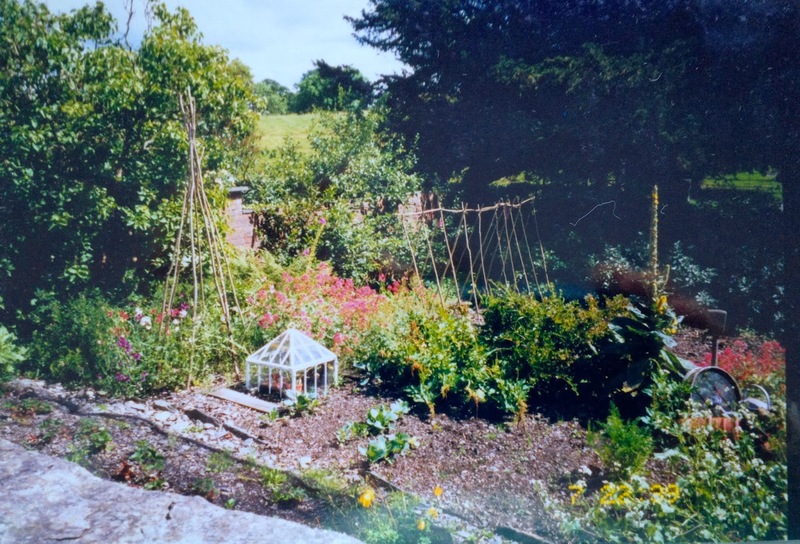 · Began writing books in her thirties, Beatrix Potter was secretly engaged to her editor, Norman Warne. Warne died suddenly in 1905. Grieving for him, Beatrix put her energies into Hill Top Farm near Sawrey. · Began buying more property in Lake District with help of lawyer William Heelis. Married Heelis when she was 47 years old. 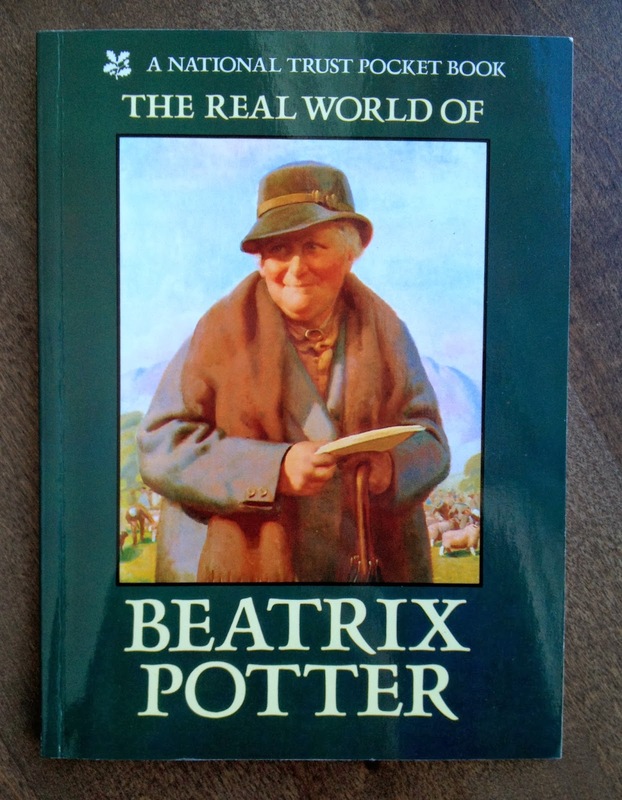 · Passionate about sheep: Raised sheep in the Lake District, Studied sheep, became a judge for competition, was chair of the Herdwick Sheep Breeder’s Association, the first woman to hold this office..
· Beatrix Potter Heelis died on 22 December 1943. She bequeathed fifteen farms and over 4,000 acres to the National Trust - a gift which protected and conserved the unique Lake District countryside. · 95% of 50,000 Herdwick Sheep live within 14 miles of Coniston. · Hefted Sheep are very much tied to where they were born. Free graze because they always return. Farms on the fells sell with the sheep. · Hardy, hefted, obscure origin though probably brought to England by Norsemen. Herdwick comes from herdvyck which means Sheep Farm. 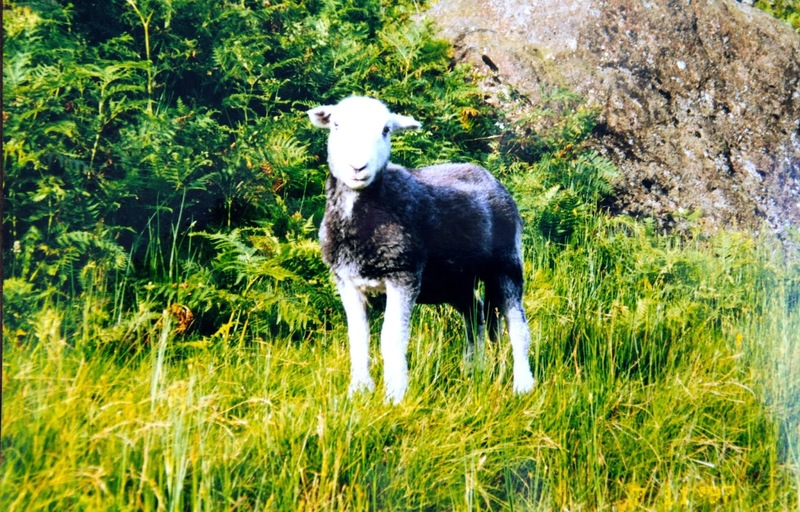 · 2001 outbreak of Foot and Mouth (Hoof and Mouth) took 35% of Herdwick Sheep. · White head, dark brown body. Born completely black and color lightens. · Good for rugs and wool insulation that is completely fire retardant and 100% biodegradable and recyclable. Did you listen to the Wild Ideas Podcast this week? They talked about juncos! I loved listening to you about Beatrix Potter. She did so much for the Herdwick and certainly at a time when few woman were acknowledged for their expertise with sheep. You have a lovely photo of a ewe with her lamb. Did B. Potter draw this? I have never seen any of her work include sheep. Could you share the source of this drawing if it is her's? Margaret, the drawing is from a postcard 1989 artist D. Carter. Thank you Paula. I continue to find it interesting then, that she didn't show her love of the Herdwick through her illustrations. Episode 162 One Million Downloads!